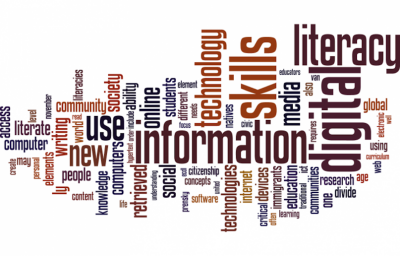 This summer, Library & IT is offering three workshops on digital pedagogy and scholarship. Applications will be reviewed on a rolling basis. To apply for one of the workshops, please fill out this Google Form. Because these workshops occur in the summer, faculty stipends will be provided. Below are descriptions and dates for the workshops. If you have any question, please contact Emily Sherwood <egs008@bucknell.edu>. If you are familiar with incorporating digital methods and tools in your classroom and want to develop several modules for a course integration, please consider applying for our Digital Pedagogy Institute. This workshop will enable faculty to devise digital and/or video ethnographic assignments for integration into their courses. We will address definitions of ethnography and the forms this cultural product can take using digital tools and platforms for (re)presentation. We will also consider alternative modes of research output beyond the typical scholarly book/article, including websites, documentary films, etc. Participants will have an opportunity to learn about digital possibilities for ethnographic work and the responsibilities such work entails, how to undertake ethnography both in digital environments and using digital tools. This workshop is hosted by DP&S/L&IT and co-sponsored by BIG, the Bucknell Innovation Group. In this pedagogical animation workshop, participants will learn how to create a frame by frame animation using iStopMotion in addition to basic 2D and 3D keyframe animations using computer software. The goal of the workshop is for participants to come out with an awareness of how animation can be applied to course curriculum by drafting a mini assignment using animation to explain complex content and/or processes. Faculty in all disciplines are encouraged to attend this workshop. Are you curious about the possibilities for including a multi-modal or digital project in a class but hesitant about the technology, the learning curve, or the process? Perhaps you think digital projects are just for show and only create extra work for you and your students? If you’re new to these approaches, join members of DP&S and Research Services for a three day workshop where we will help you identify and develop a short module that incorporates digital tools to meet your learning outcomes, increase student engagement, and further students’ digital literacy skills.